Five young UCLA professors were selected to receive 2018 Sloan Research Fellowships from the Alfred P. Sloan Foundation. which bestows this award to early-career scientists and scholars who are rising stars of science. 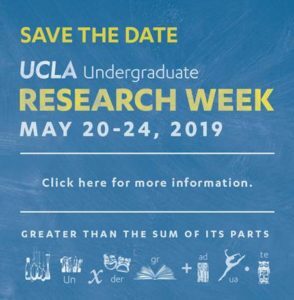 Four of UCLA’s Sloan Fellows are faculty in Physical Sciences, representing the departments of Atmospheric & Oceanic Sciences, Chemistry & Biochemistry, and Statistics. I plan to use the Sloan Fellowship support to expand our understanding of marine ecosystems, with a special eye on our own ocean backyard – the California Current. In particular, there’s a lot of exciting work to be done in understanding how variability in the physical ocean circulation, down to scales of kilometers or less, affects the microbial, biological and functional diversity of the ocean, and the interactions between phytoplankton, zooplankton and the animals that feed on them. With colleagues at UCLA, we’re developing the new generation of numerical models that we can use to tackle these questions. I also plan to use the support from the fellowship to start analyzing vast amount of information on these physical-biological interaction in the California Current and the North Pacific Ocean, including acoustic observations that can tell us how animals like fish and krill organize and respond to changes in currents and climate. Finally, I’m excited about current work we’re doing on understanding microbial function in the ocean’s low-oxygen regions, where microbes rely on a range of nitrogen and sulfur-based biochemical pathways to carry out their metabolic activities. The fellowship will definitely help to provide support for my students’ summer research work, and offer them the opportunity to travel to major meetings and conferences. 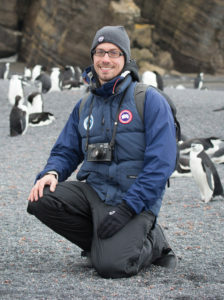 Daniele studies how physics, chemistry and biology come together to regulate ocean ecosystems, and seeks to learn in what direction they may change in the future. His research team is especially interested in the cycles of oxygen and nitrogen, the ecology of the deep ocean zone and the role of animals — from zooplankton to fish — in the marine ecosystem. His research tools range from global observations to theoretical and numerical models of ocean biogeochemistry and ecology. I will use my Sloan Fellowship to fund my research at the intersection of statistics and biology. Specifically, I am currently studying how to statistics to quantitate the Central Dogma, one of the most fundamental principles of molecular biology. The differences between tissues, such as brain and muscle, and between healthy and unhealthy human cells are largely defined by changes in the cellular abundance of proteins. There are ~23,000 protein-coding genes in each human cell. Through a process called “gene expression,” the information encoded in the DNA sequence of these genes is used to synthesize protein products in cells. The process is described by the Central Dogma: DNA makes mRNA, and mRNA makes protein. There are two key synthesis steps: transcription (information flow from DNA to mRNA) and translation (information flow from mRNA to protein). In addition, mRNA and protein molecules are degraded (i.e., destroyed), making four steps in total. Transcription was long suspected to play the dominant role in determining the quantity of proteins produced. Over the past decade, however, many studies have claimed that in animals, differences in the rate at which mRNA is translated into proteins are more important than transcription. If this were true, many of the biological discoveries made at the transcription level would be in doubt, as translation would largely override the transcriptional effects, and advanced experimental techniques that measure mRNA abundance would be not so useful. My research will focus on develop statistical models and methods to quantitate the contribution of the four steps – transcription, translation, mRNA degradation and protein degradation – to controlling the amounts of proteins made. This award will provide financial support to my graduate students. Also, this award will help increase the impact of my students’ research. What makes me most excited about coming to work every day? Working on interesting research questions, learning new knowledge related to my research, and communicating with students and colleagues to brainstorm new ideas. 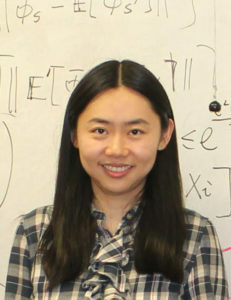 Jingyi conducts research at the intersection of statistics and biology. 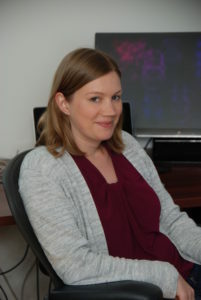 Her research team, which is called the Junction of Statistics and Biology, develops new statistical methods for understanding biological questions, especially those related to large-scale genomic data. They identify and resolve important, previously unanswered statistical questions at the frontiers of biology, including bioinformatics. I will use my Sloan Fellowship to fund new chemical reactions that can be used to make medicine and fuels. The biggest question I’m looking to answer with my work is, can we improve human health and our environment using synthetic chemistry? The Sloan funding will allow the students who work with me to purchase specialized reagents and supplies to complete their thesis projects. What makes me most excited about coming to work every day is mentoring graduate student colleagues. They rock! 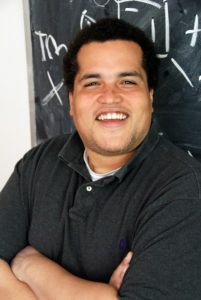 Hosea focuses his research on the discovery of new chemical reactions that will enable the efficient and environmentally benign syntheses of fuels, materials and medicines. He and his research team take an interdisciplinary approach, exploring chemical concepts that lie at the interface of organic synthesis, inorganic chemistry and molecular biology. The Sloan Fellowship will fund our work on the development of personalized nanomedicines. The biggest question I’m asking with my work is: How do we perform and observe selective chemistry in living systems? Answering this question will lead to enhanced therapeutics such as drug synthesis only at disease sites. The Sloan Fellowship will support student researchers salaries, supplies, and travel to conferences to present their work to the community. 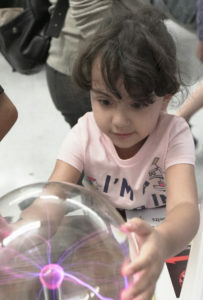 What excites me about coming to work every day is watching my students grow as scientists and guiding them toward new discoveries. Ellen holds the John McTague Career Development Chair in the Department of Chemistry and Biochemistry. She develops molecules, methods and materials to enhance the visualization and delivery of therapeutics. Her research involves an interdisciplinary mix of organic synthesis, chemical biology, self-assembly, polymer synthesis, fluorous chemistry, photophysics and nanomedicine. The official press release from the Sloan Foundation announcing their 2018 fellows can be found here.